Physitrack is a cloud-based client engagement solution that uniquely combines exercise prescription, outcomes analysis (incl. outcome measures), Telehealth video calls / secure messaging and patient education. 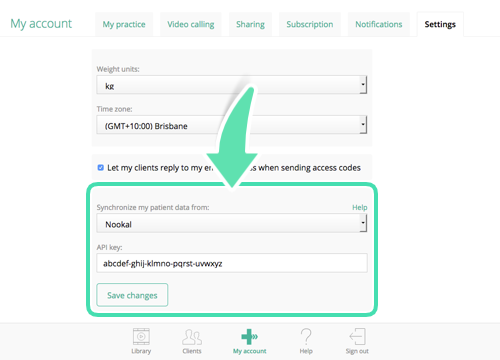 Nookal’s integration with Physitrack allows you to quickly add a client from Nookal to Physitrack, so you can start prescribing exercises, tracking outcomes and having secure video calls fast. Physitrack also uploads copies of prescribed exercise programs to your patient notes in Nookal, so you always know which exercises you prescribed to which clients. Here is to saving hours each month! There is a Special Offer for Nookal Users: Nookal users save up to 40% and pay only 8.99 AUD p/m per practitioner to subscribe to Physitrack with no lock-in contracts (normally 13.99 AUD p/m)*. Clinics with 5+ practitioners can contact Physitrack for a group account. * Price subject to change without prior notice. Discount available in other countries and varies according to the currency, contact Physitrack directly for more info on pricing. 1. Head to www.physitrack.com, click Create new account and enter all the relevant information. 2. 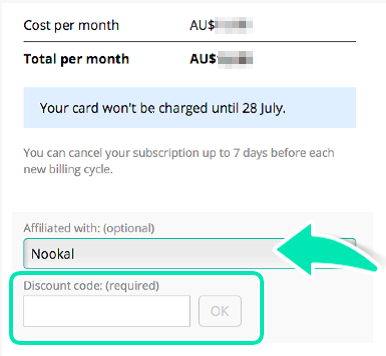 On the Payment page, select Nookal as your affiliation and enter Discount code "Nookal40". 4. Enter payment details and create your Physitrack account. Before you can pass Client information to your Physitrack account, you'll need to set up an API key in your Nookal account. 1. In your Nookal account, go to Practice. 2. Click Integrations then Marketplace. 3. Enable the Physitrack integration using the switch. 5. Click Add Provider at the bottom right of the screen. 6. Select the Provider to connect to Physitrack. 7.Select the appropriate Physitrack server matching your Physitrack account for your country under Location. 8. Select and copy (Ctrl+C / Cmd+C) the API Key for this Provider. 9. Login to your Physitrack account. 10. Go to My Account > Settings. 11. Change the Synchronise my patient data from drop-down to Nookal. 12. Paste (Ctrl+V / Cmd+V) the copied key into the API key field. 14. Your Physitrack account is now connected to your Nookal account. 1. Login to your Nookal account. 2. Head to Clinical Notes of the client you wish to access Physitrack for via Clients Appointment in the Diary or from the Clients section. 3. Click the Exercises button. 4. 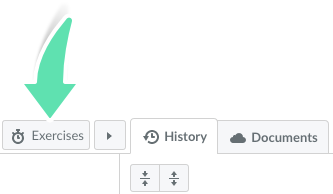 Click the Open in Physitrack option. Exercises that are assigned within your Physitrack account will be automatically added to your Nookal Clients > Documents page.